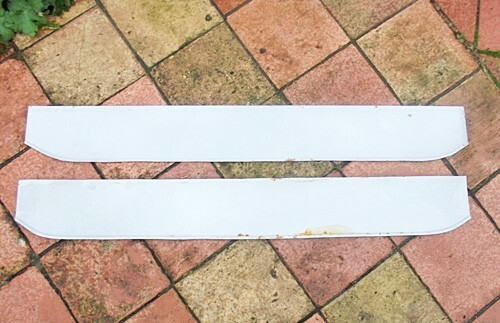 Pair of metal chassis valence panels for Ford model Y VAN which does not have running boards. these fit under the doors against the side chassis rail. rolled wired folded to lower edge. will require final trimming for fit. these are new, older primer paint showing age, water stain marking.